Anyone who knows me knows I like a good conversation! I also enjoy coaching and mentoring, both one-to-one or one-to-many. Over the many years I've been in business, I've been privileged to help hundreds of individuals achieve their dreams. For some time now, I've thought about writing a blog as a way of kick-starting that process for more people. The good news is... you get to be your own boss. The bad news is... you get to be your own boss. It's a bit like what you get when you ask others for advice or look for it on the internet. The web has made it possible for anyone and everyone to give their opinion. Yes, there are experts out there who are well-informed, but how do you know who to trust? Are they in fact familiar with Canadian rules and regulations? Friends and family are also fond of giving advice. They have your best interests at heart, but do they really understand the industry, the marketplace, the latest trends as they relate to the world of small business? Business brokers have that street-smart perspective. And we want to share that knowledge and experience, so that you're better equipped to buy or sell a business if and when you're ready. That's the purpose of this blog. You'll learn all about the processes, the sequencing of steps and responsibilities, so you'll understand who should be doing what and when. You'll be able to pick up proven tips whether you're buying or selling. The goal as we see it is a fair deal, with price, terms, and conditions that work for both sides, protecting your best interests in the process. There is a good market for quality businesses. There are more buyers chasing fewer businesses. 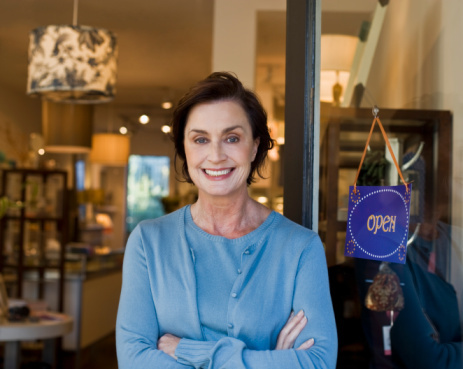 That is expected to reverse a few years from now when large numbers of retiring baby boomers join those owners who have delayed selling their businesses. That will lead to many more businesses available than qualified buyers, lowering prices and making it more difficult to sell. Start by knowing what your business is worth. Identity changes and improvements you could make to add value. There is no perfect business, only some that are better for you than others. The key is to find the right “opportunity” for you to make it your perfect business. Look for an existing business with a proven track record of success, with trained employees, an existing customer base and an immediate cash flow. See the right sidebar to register to receive each new post as it's published. You can follow my Sunbelt Canada business tips and news through @gregkells on Twitter. On LinkedIn? Check out our business pages at Sunbelt Business Brokers Canada. On Google Plus? Find our posts here at Sunbelt Canada. Connect with us on our Sunbelt Canada Facebook page. And for proven tips on buying, building, or selling your business, get our free bi-monthly newsletter.